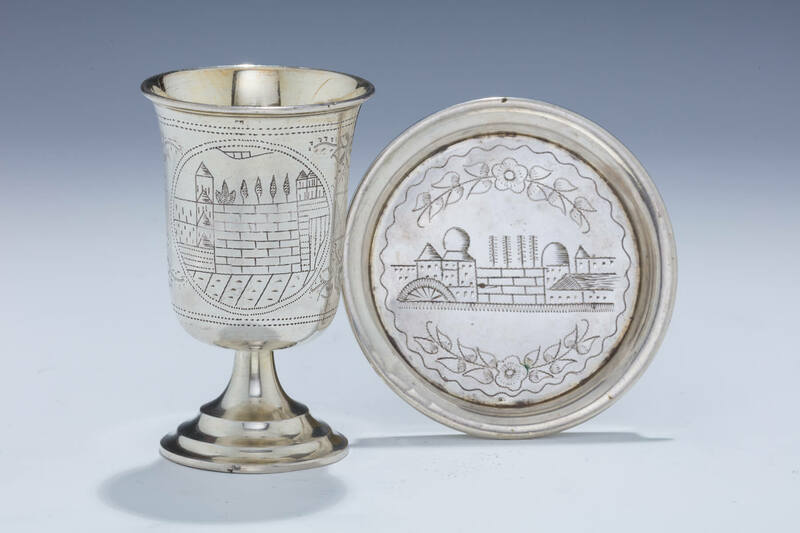 A SILVER “HOLY LAND” KIDDUSH CUP WITH UNDERPLATE. Germany, c. 1900. In goblet form. Engraved on the cup with scenes of the Kotel and Kever Rachel. The plate is also engraved with the Kotel scene. Marked 800. The cup is 3.7” tall and the plate is 3.5” wide.